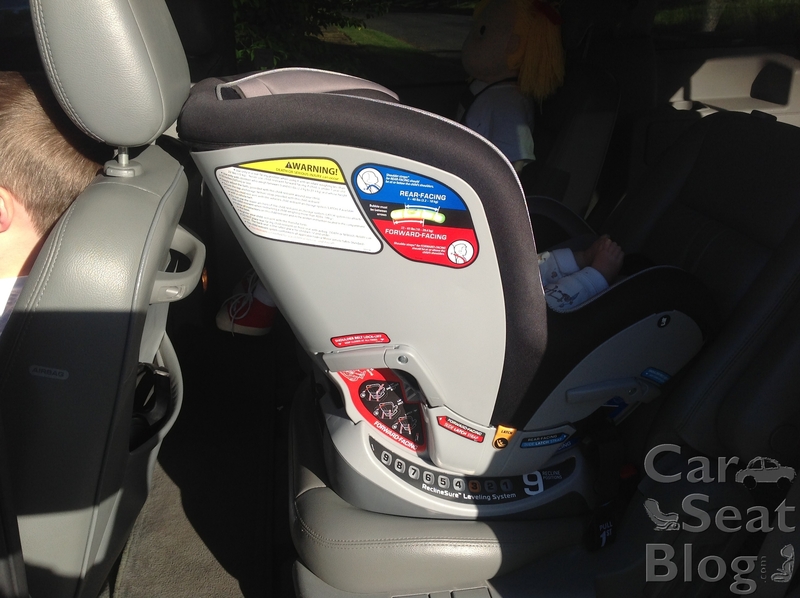 Home » Reviews » 2017 Chicco NextFit Review: Convertible Carseat Nirvana! 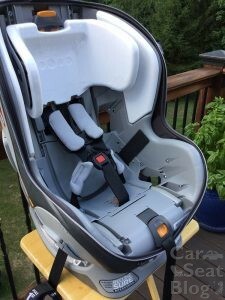 2017 Chicco NextFit Review: Convertible Carseat Nirvana! I’ll admit that I was a little worried. 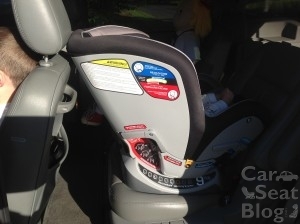 The Chicco KeyFit is possibly the most well-loved infant seat of all time and the bar was set pretty high for any convertible carseat that would wear the Chicco name. 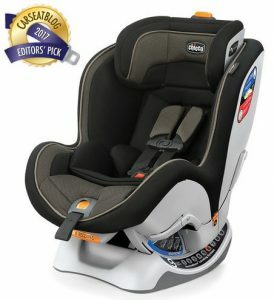 There was no doubt that the expectations were high and they needed to nail this one or else it was going to go down in the carseat history books as the biggest disappointment since the Nania Airway (long story with unhappy ending). 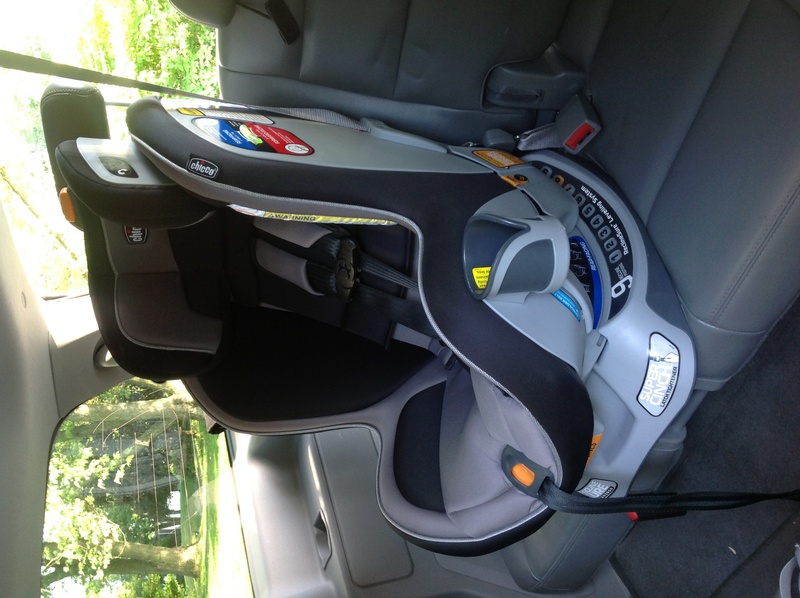 Thankfully, my anxiety was for nothing because the Chicco NextFit convertible exceeds every expectation that I had for ease of use and ease of proper installation. Chicco people, you can pat yourselves on the back for another job well done! 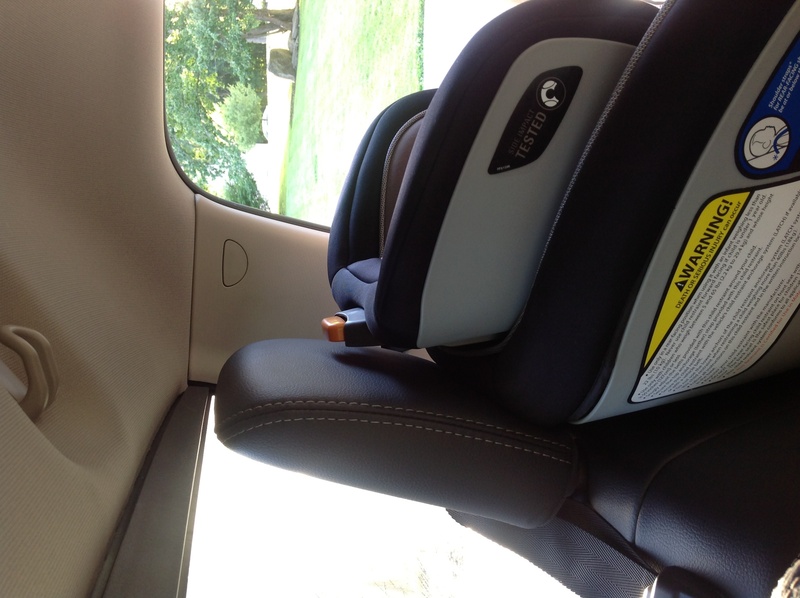 The Chicco NextFit & NextFit Zip are Recommended Carseats and an Editor’s Pick. What makes the Chicco NextFit stand out in a crowded field of high-end convertibles? 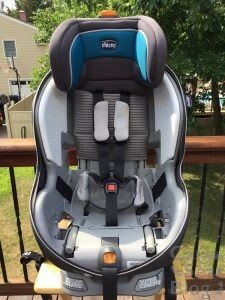 In addition to the incredibly innovative force-multiplying SuperCinch system, Chicco has really gone out on a limb to design and engineer a seat that is very easy for parents and caregivers to use correctly and equally difficult to misuse if you’re actually making an attempt to “do it right”. Forward-Facing: 22-65 lbs; 49″ or less; at least 1 year old. 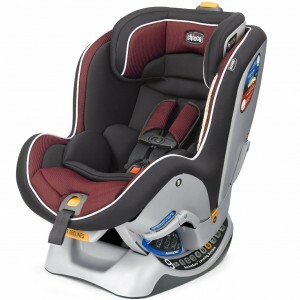 *Chicco and the American Academy of Pediatrics (AAP) recommend all children ride REAR-FACING until age 2 or they reach the weight/height limits of this seat. There are 4 trim lines. MSRP for the “base” version of the NextFit is $299. The NextFit CX is $329. The NextFit “Zip” model is $349. The BabiesRUs exclusive NextFit Zip Air is $359. What’s the difference between the models? The NextFit passed every challenge as I installed it in a wide variety of vehicles and seating positions both rear-facing and forward-facing using either LATCH or seatbelt. 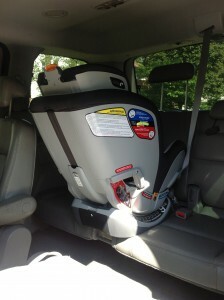 I installed it in bigger vehicles, smaller vehicles, old jalopy vehicles, new luxury vehicles with contoured rear seats and protruding head restraints, crew cab pick-up trucks with funky tether routing and even in the 3rd row center of my 2005 Ford Freestar minivan which is notoriously problematic for most FF carseat installations due to lousy belt geometry. The only installation that gave me any trouble at all was the 3rd row center of my minivan (pic below). The shoulder belt in this seating position originates from the ceiling and the lap portion of the belt is anchored forward of the bight by a good 2″. 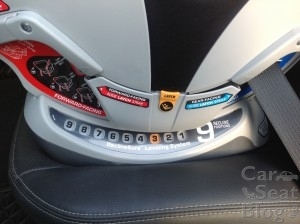 That combination makes it extremely difficult to install any forward-facing carseat securely. 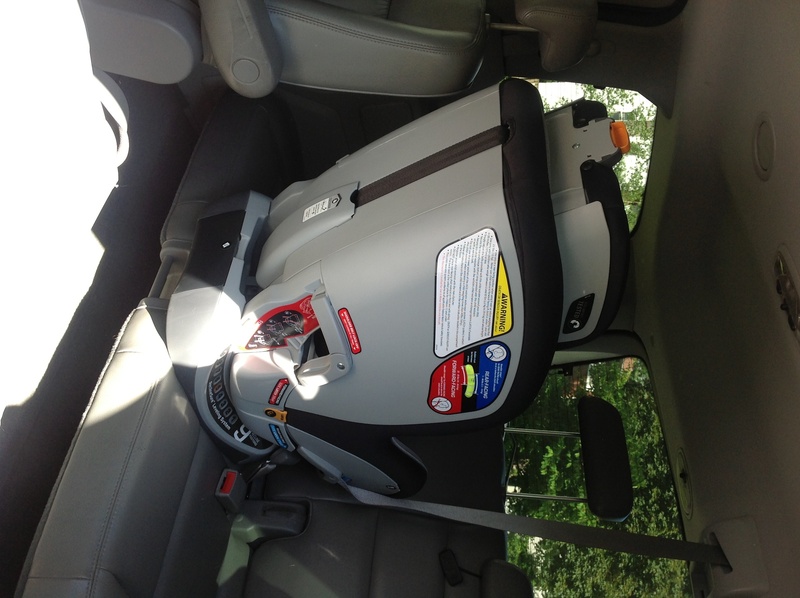 Typically what happens in this seating position is that the carseat appears tight (doesn’t move more than 1″ from side-to-side) but when you test for tightness from front-to-back, the carseat slides forward several inches. I ran into this exact problem when I first tried to install the NF forward-facing with the seatbelt in this seating position. However, I don’t give up that easily. 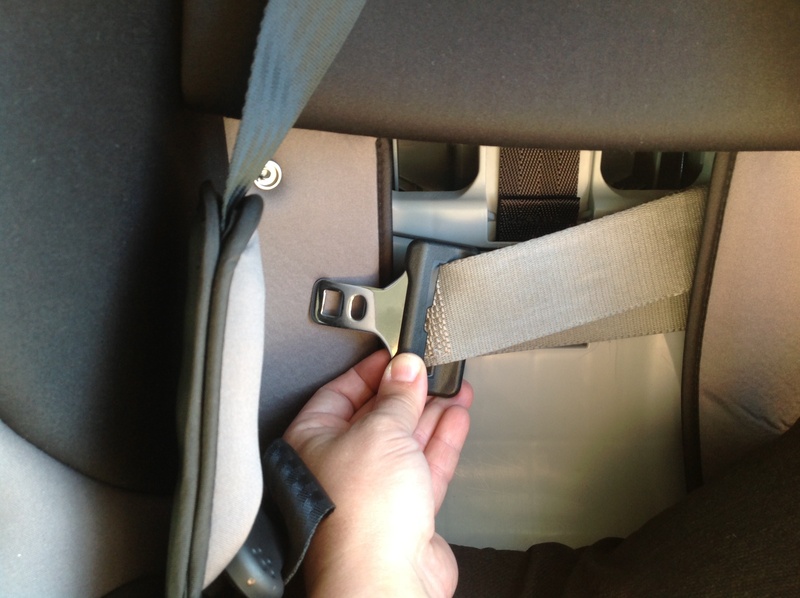 I’ve been installing carseats for over 16 years and I’ve learned a few tricks of the trade along the way. I’m not going to go into too much detail but suffice to say that I went “old school” on the installation (with both knees in the seat and using the reclining seat back trick) and I wound up with a tight install that didn’t move at all side-to-side and moved less than 1″ from front-to-back. Having a lock-off on the NF really helped in that situation. Honestly, that was the only installation in the multiple vehicles that I tested that gave me even the slightest bit of trouble. 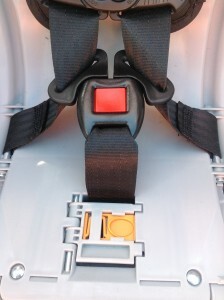 Rear-facing in that same seating position using seatbelt (pic below) wasn’t a problem. Every other installation was basically a walk in the park. In 2015, changes in federal standards made it necessary for Chicco to update the LATCH weight limits. The NextFit now has different weight limits for LATCH depending on whether the seat is rear-facing or forward-facing. 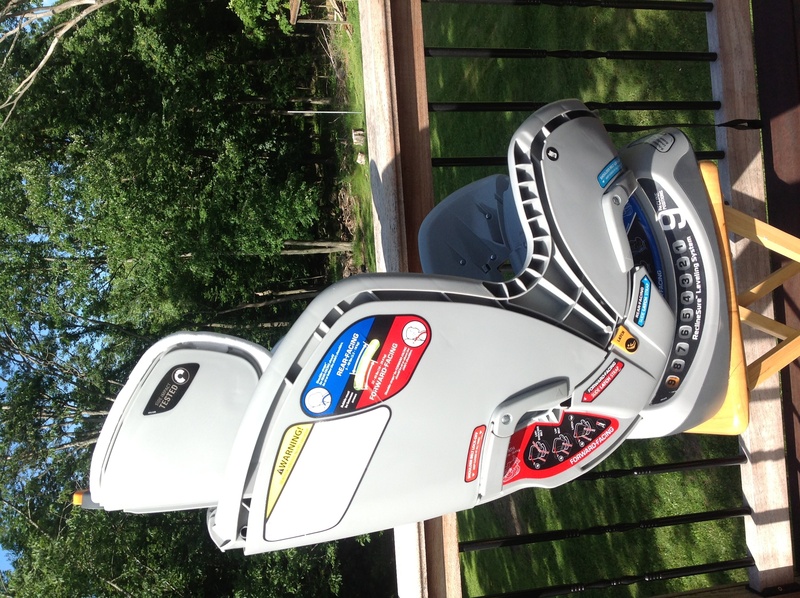 Rear-facing: you can install using the lower LATCH anchors until your child reaches 35 lbs. 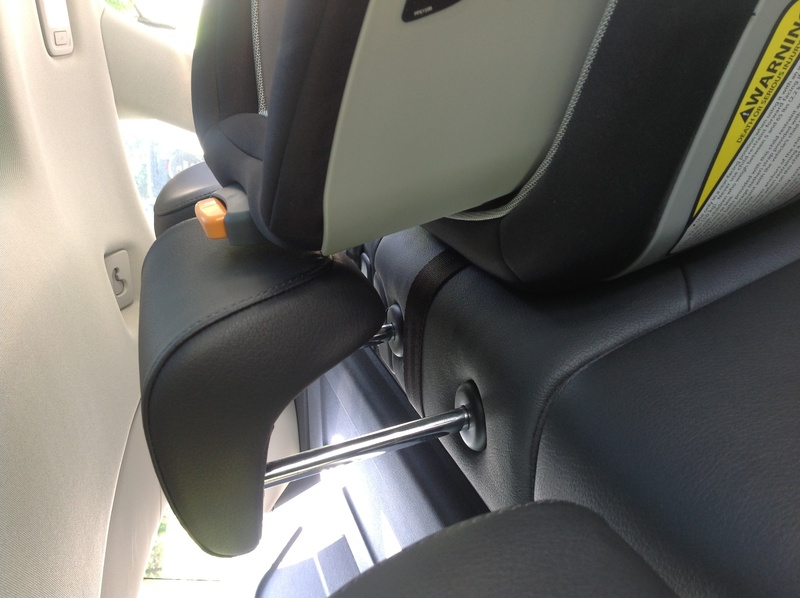 When your child weighs between 35 – 40 lbs., you should install your rear-facing NextFit with seatbelt using the lockoff. 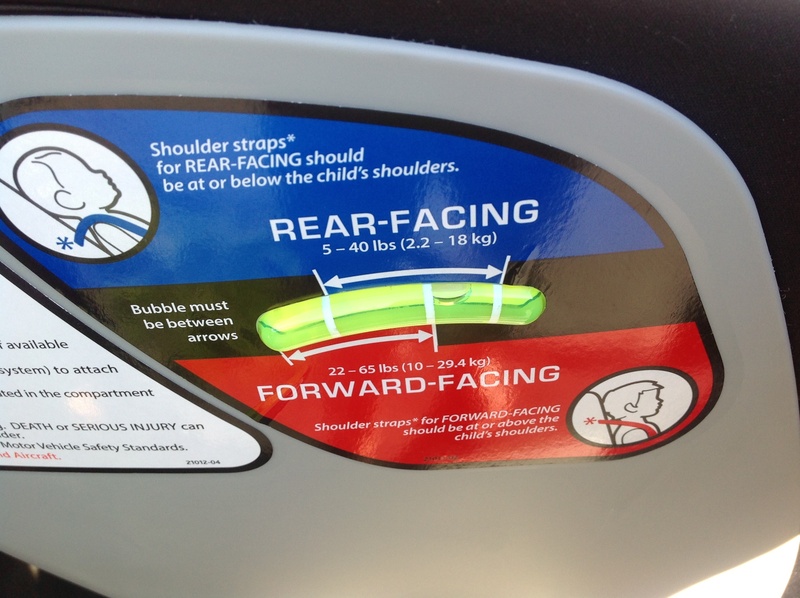 Forward-facing: You can use the LATCH system in your vehicle (lower anchors and tether) to install the NextFit until your child weighs 40 lbs. 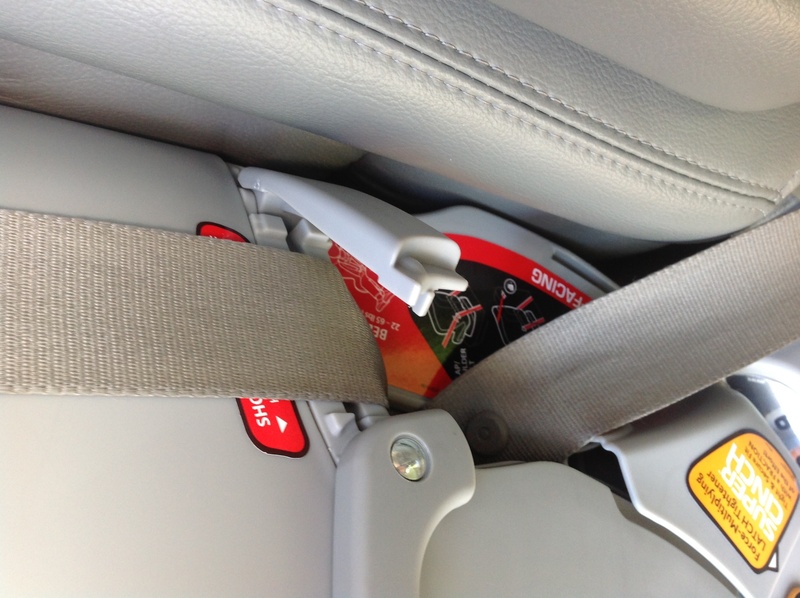 If your child weighs between 40-65 lbs., install with the seatbelt using the lockoff. Always use the top tether strap if you have a tether anchor for that seating position. NextFit does NOT allow center LATCH installations with “Non-Standard Spacing” so you can only take advantage of the easy LATCH installations with SuperCinch if you are installing in a dedicated LATCH seating position with standardized spacing (280 mm). The lower LATCH connectors are the premium push-on connectors made by SafeGuard. 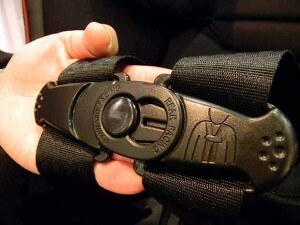 The connectors are also “non-handed” which just means that you don’t have to remove the LATCH belt from the beltpath to switch the orientation of the lower anchor connectors. 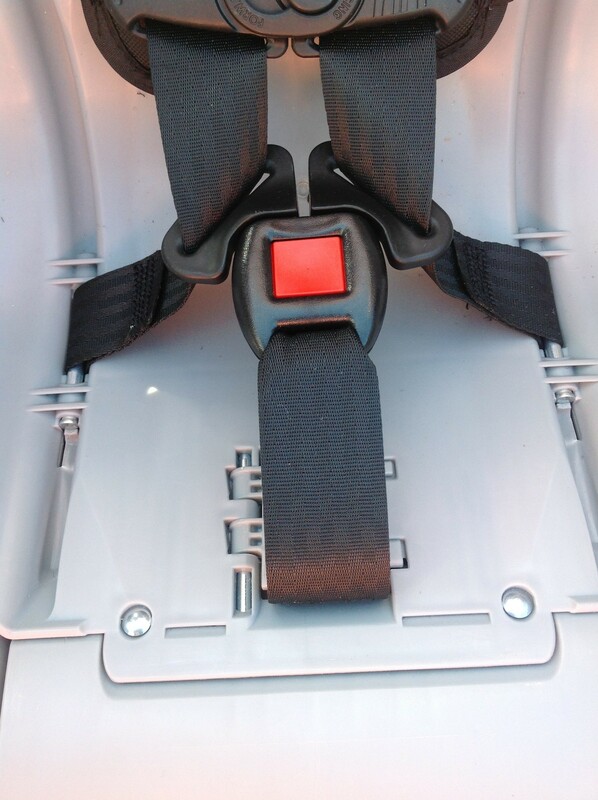 You can simply slide the LATCH belt from the rear-facing beltpath to the foward-facing beltpath and your lower anchor connectors will always be facing the right direction as you attach them to the lower anchor bars in your vehicle. Just to clarify, the lower LATCH connectors have an “up” side and they need to be attached to the lower anchors facing the right direction. It should look like a stapler (with the fat side on top) clamping down on the anchor bar. Tethering is required for all forward-facing installations when a tether anchor is available. 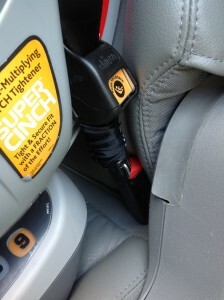 If the vehicle does not have any top tether anchors or if the NextFit must be installed in a seating position that does not have a designated top tether anchor then it is not considered a misuse to install without tethering. 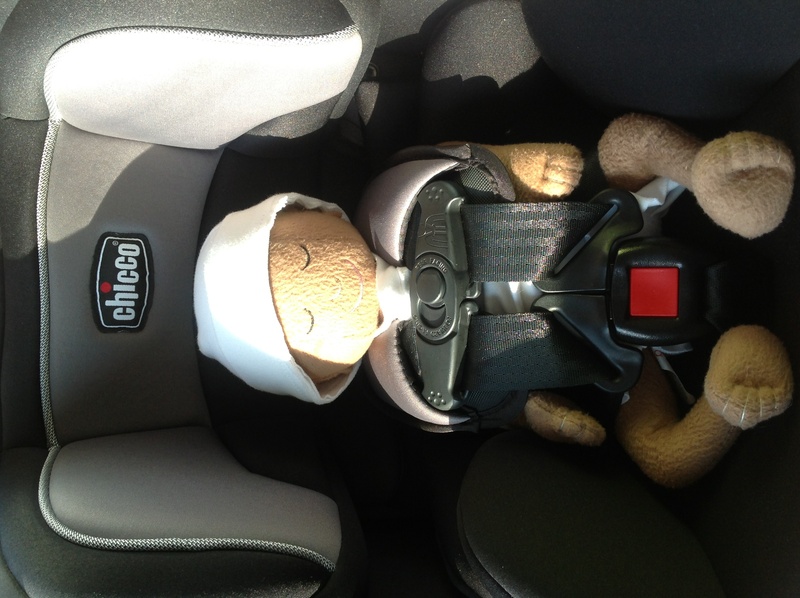 However, Chicco really wants the seat to be tethered (and so do we!) 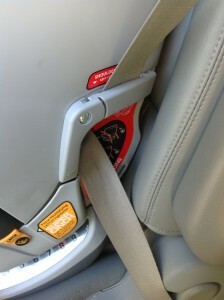 regardless of whether you are installing forward-facing using the lower LATCH anchors or the seat belt. Do NOT use the tether strap when the NextFit is installed rear-facing. In that case, store the tether hook in its storage compartment on the back of the shell. The openings on the sides of the shell for the beltpath are small but it’s not an issue because you access the beltpath from the access panel in the front of the seat. I tried numerous rear-facing and forward-facing installations using the seatbelt and ran into very few issues. The lock-offs seem to work well regardless of belt geometry and they even clamped shut over the thicker-than-average seatbelts in my Freestar minivan. Make sure you position the shoulder belt in between the little protruding “tabs” inside in the lock-off before you attempt to close the lock-off. If your seatbelt has a switchable retractor you may opt to switch it into locked mode after you lock the seatbelt inside the lock-off. It’s redundant and unnecessary (and I wouldn’t recommend doing this with a RF install because it could cause the seat to start tilting) but it’s not considered a misuse if you lock the seatbelt by switching it into ALR mode after securing the belt in the lock-off. Again, it’s just redundant and unnecessary because locking the seatbelt using the lock-off provides all the necessary pre-crash positioning. In general, the NextFit doesn’t take up too much room in the rear-facing position – especially if you don’t need a maximum recline angle for a newborn. Below are pictures (left to right) of RF installations in an Audi Q5, Ford Freestar and Volvo S60 R-Design. 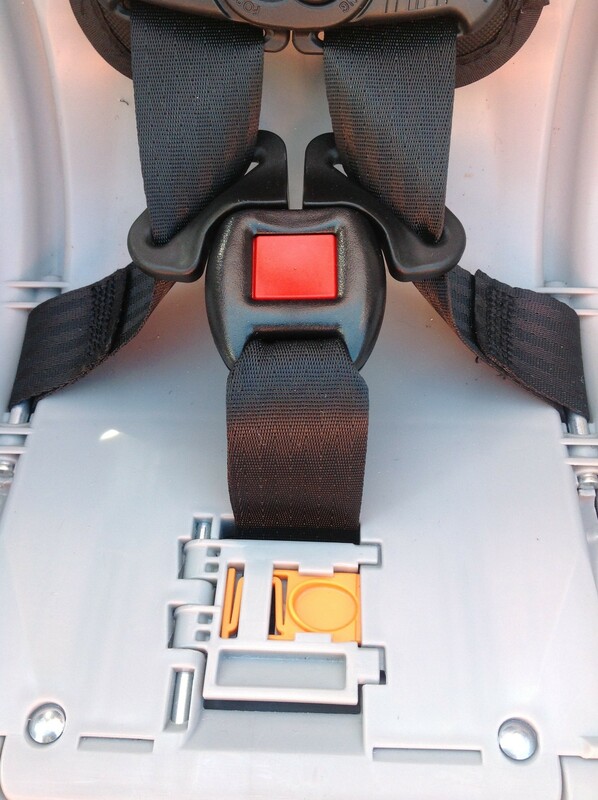 The design of the shell and the headwings seems to work well with a variety of head restraints when the seat is installed forward-facing. 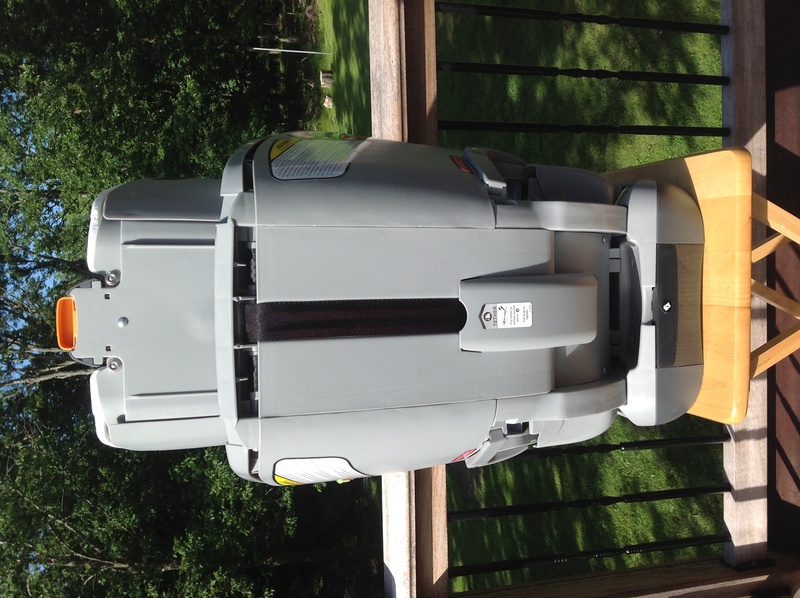 2012 Ram 1500 Crew Cab: The NextFit installed beautifully both RF and FF in the outboard positions of this vehicle. Tethering was a challenge but that was due to the funky tether routing required in this vehicle. I was able to fit the tether and the tether adjuster hardware through the loop of webbing directly behind the seating position and attach the tether hook to the tether anchor behind the center seating position (as required in this vehicle) but getting it back out proved to be a little time consuming. 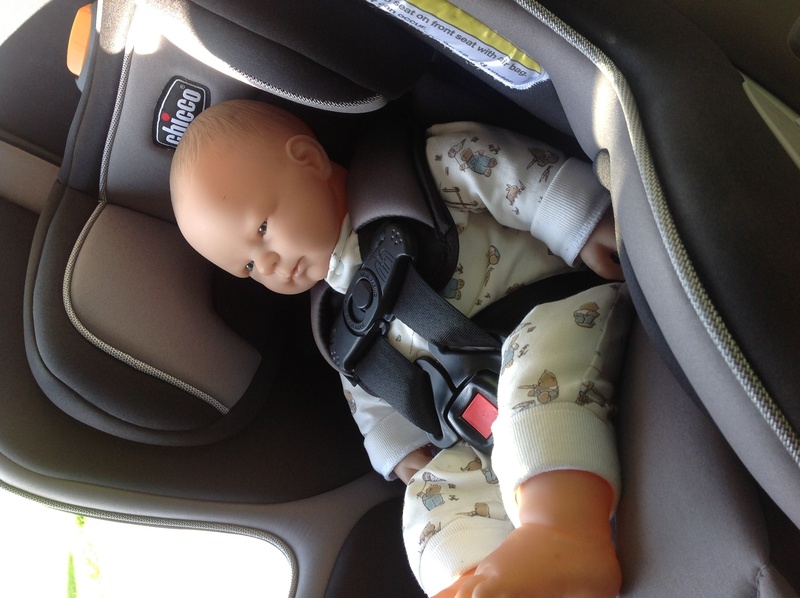 Definitely not something I would want to have to wrestle with on a frequent basis – but none of that is the carseat’s fault. The NextFit was incompatible with the center seating position in this vehicle because for some odd reason the rear center seat in a Ram 1500 is considerably more shallow than the outboard seats. This caused too much overhang. 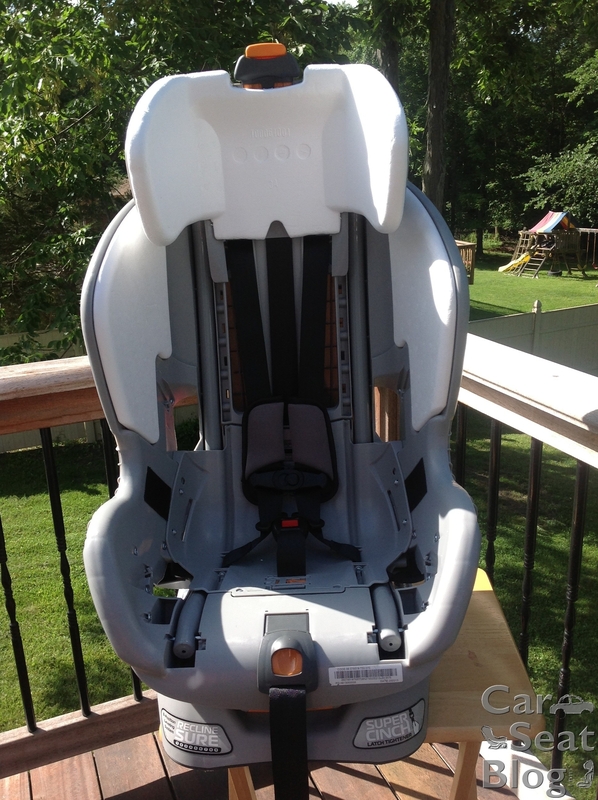 Chicco is very specific that no more than 3″ of the footprint of the base may hang over the edge of the vehicle seat. 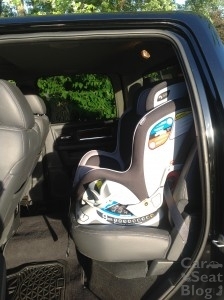 Speaking of pick-up trucks, it is worth mentioning that Chicco prohibits installation on vehicle seats that fold out. The backseat of the Toyota Tacoma Access Cab has this type of rear seat. 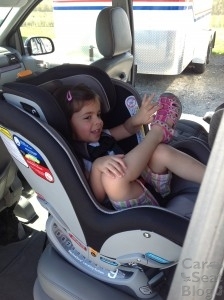 It’s crazy and weird and I don’t blame Chicco from prohibiting installations on this type of vehicle seat. I’m not sure if this set-up exists in any other vehicle besides the Tacoma Access Cab. Installation with inflatable seat belts is NOT allowed. 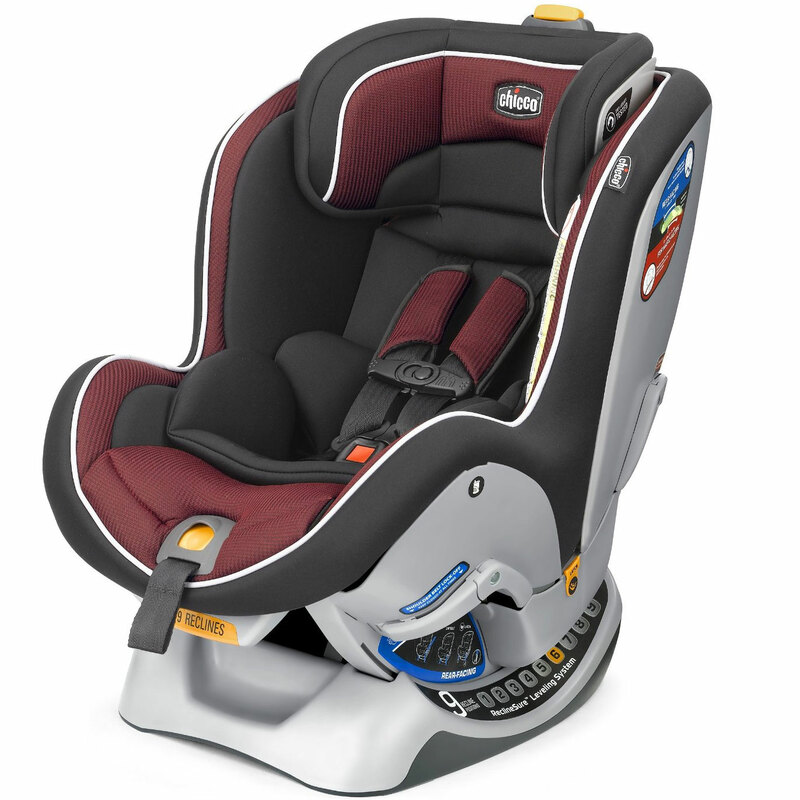 The infant insert is recommended (but not required) for babies who weigh between 5-11 lbs. If your under-12 lbs. baby fits fine without the insert than you can skip it. In general, the smaller the baby – the more likely it is that you’re going to need the infant insert to get a proper fit with the harness straps being positioned at or slightly below the baby’s shoulders. 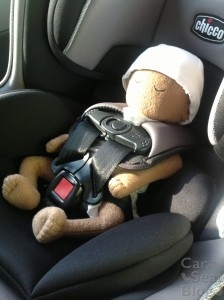 I was pleasantly surprised when I saw that the Nextfit with the infant insert provides a good harness fit on the very tiny preemie doll from Huggable Images that we use to assess whether a seat is really likely to fit a small newborn or a preemie. The minimum weight rating on the NextFit is 5 lbs. but the fact that it does fit the 4 lbs. 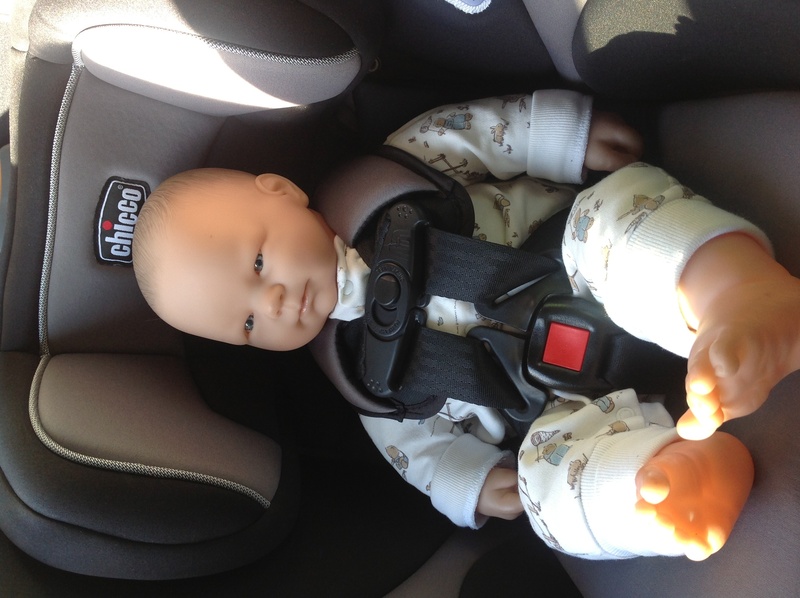 17″ preemie doll pretty well means that it should provide a good fit even for smaller-than-average newborns if you decide that you want to skip the infant seat and use a convertible right from the start. If you need to use the NextFit in the lowest harness height setting then you need to fold the back padding panel under to allow the headrest to lock into its lowest position. If you don’t fold it under then the cover will actually get in the way and the headrest won’t lower all the way down. 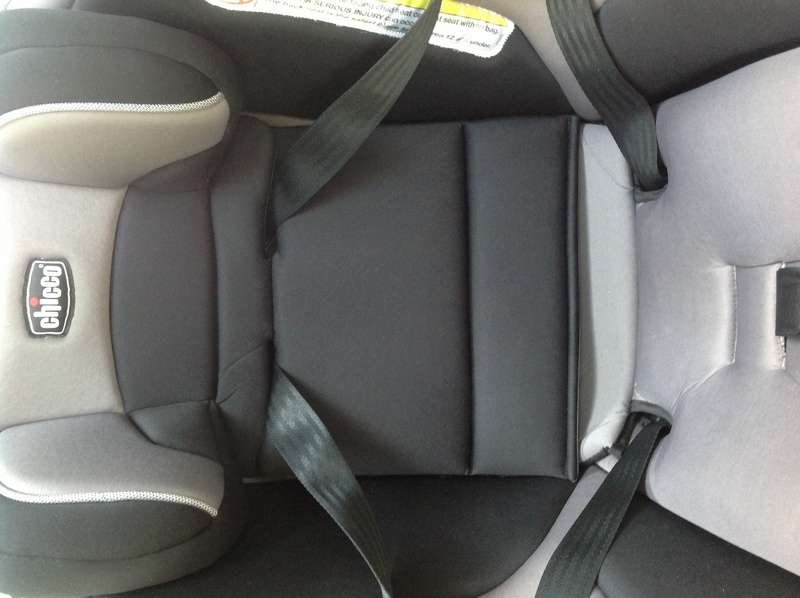 The NextFit allows any headrest position to be used when the seat is installed rear-facing as long as the harness straps are positioned at or slightly below the child’s shoulder level. The rear-facing height limits are so generous that children will almost certainly fit height-wise until they reach the max RF weight limit of 40 lbs. 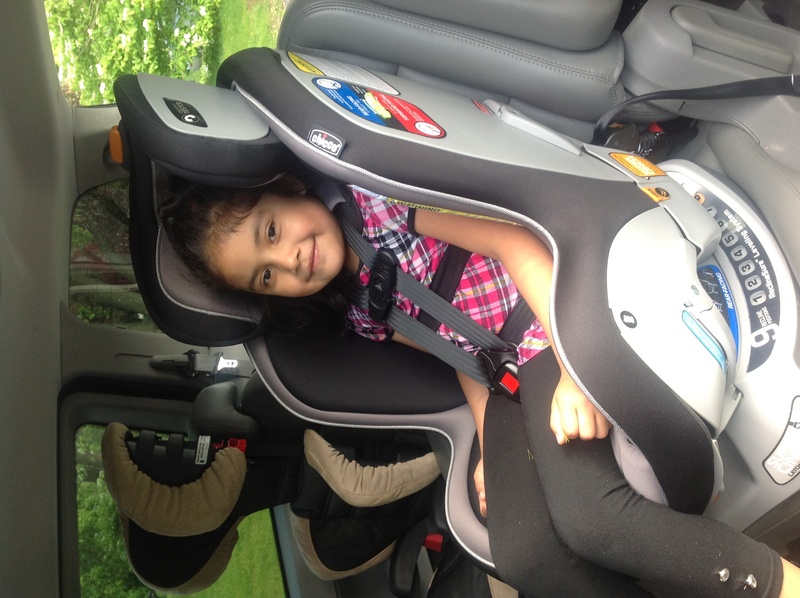 The maximum height limit for the NextFit is 49″ tall or the seat can be outgrown by height once the child’s shoulders are above the harness slots in the highest height setting. Kids with longer-than-average torsos will always outgrow seats more quickly just because of the way they are proportioned. The NextFit Zip model has a cover that zips off and on for easy cleaning. Does it zip off easily? Yes, it’s really a great feature! But it’s important to note that only the main portion of the cover zips off. The cover on the adjustable headrest and a flap of the cover that is attached to it does not zip off (pic below) but it was easy for me to remove and replace that part of the cover too. There is an edge of fabric with one side of the zipper that remains attached to the shell. It’s not likely that you would need to remove that edge piece but it is possible to remove that too, if necessary. Pictured below is the NextFit Zip Air model. We have a separate review of that seat HERE. 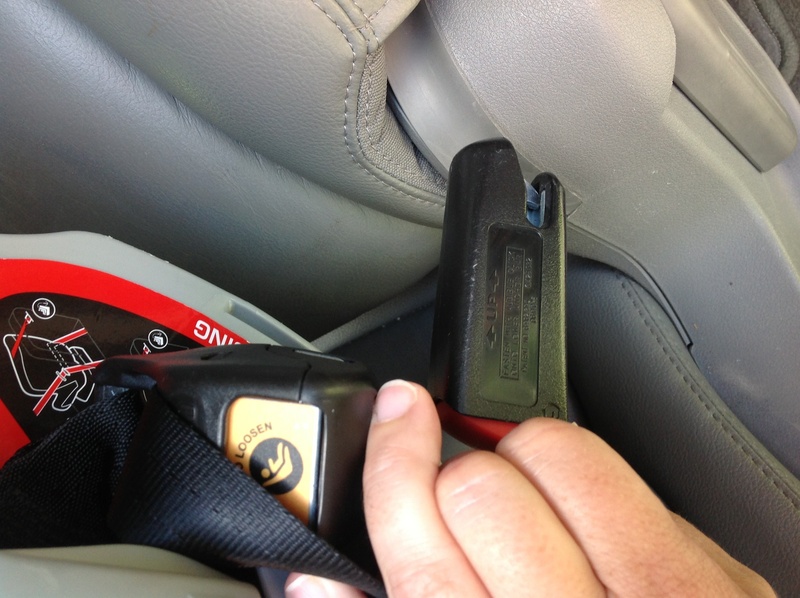 Installation with inflatable seatbelts (found in some Ford/Lincoln/Mercedes Benz vehicles) is NOT allowed. 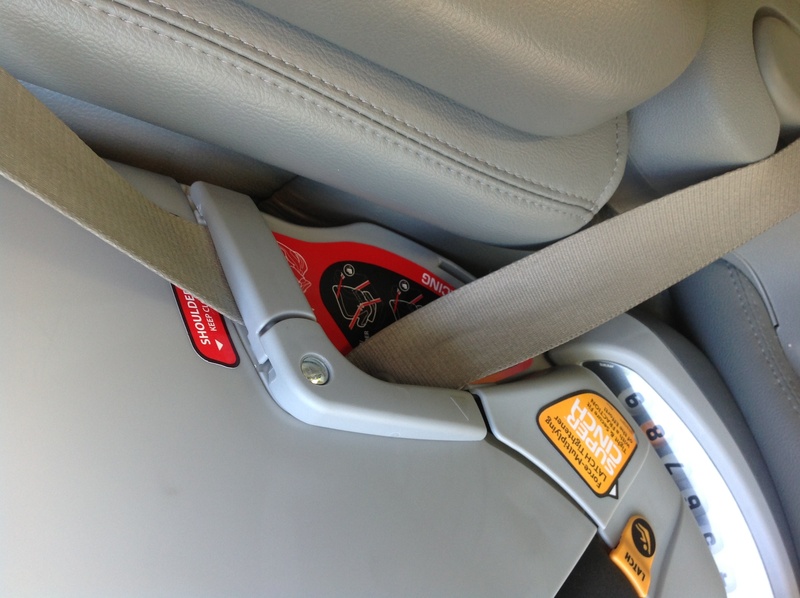 Use LATCH if possible or move the seat to a different seating position which does not have an inflatable seatbelt. Doesn’t take up a lot of room rear-facing (especially if you don’t need the full recline for a newborn). This makes it a good option for smaller cars and for tall parents who may need to have the front seat all or most of the way back. 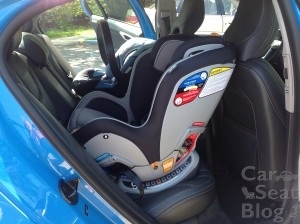 As you can see the “pros” of the Chicco NextFit far outweigh the few “cons” which is why this seat is on our list of Recommended Carseats as an Editors’ Pick. And while there is no such thing as a perfect carseat, the Chicco NextFit is clearly a well-designed and well-thought-out convertible. Nothing on the NextFit seems cheap or flimsy or lacking in any way. Yes, it’s heavy and bulky but it’s clearly a good quality, high-end carseat. The premium padding is the ultimate icing on the cake, in my opinion. If you want your child to feel like he or she is sitting on a cloud – the NextFit can definitely deliver. 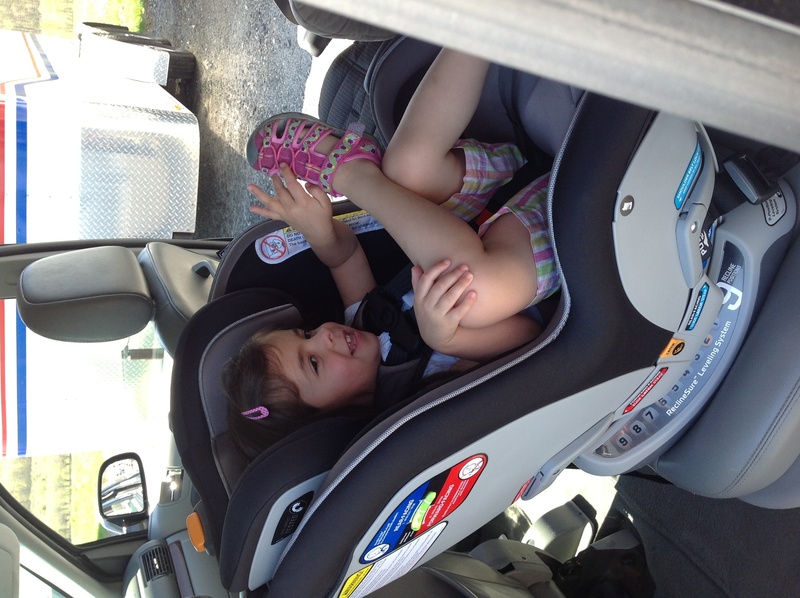 Of course, the best advice for any carseat is to try before you buy, whenever that’s possible. If that just isn’t an option for you then keep in mind that ordering directly from Amazon will usually give you the benefit of free shipping and free returns if it doesn’t work out for some reason. 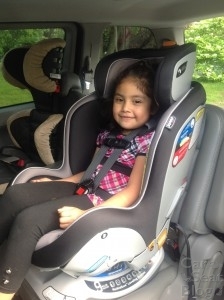 Please see Alicia’s NextFit Follow-Up Review for additional info and comments relating to daily usage, child comfort, etc. (basically, all the things I wasn’t able to cover in this review because I don’t have children small enough to use a convertible). 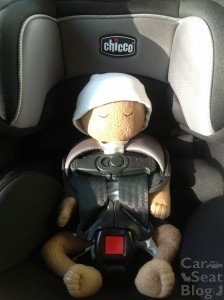 Thank you to Chicco USA for providing the NextFit sample used in this review. No other compensation was provided and the opinions and comments are entirely those of CarseatBlog. We currently have the Graco 4ever but my 8 month olds head keeps falling forward during her naps. I’m considering the chicco nextfit May be a better fit for her. Any advice on whether the chicco causes head slump while napping? I’d hate to try it and it goes the same thing but I did notice that they have way more recline positions then the Graco 4ever. Hi Sandra. Please call Chicco at 1-877-424-4226 and explain the problem you’re having. They’ll be able to advise you what to do with your carseat. Are you using the latch anchors on the picture above with the 45lb 5 year old? If so, should you not be using a seatbelt as there are weight limits with these anchors? I just noticed that too… confusing. 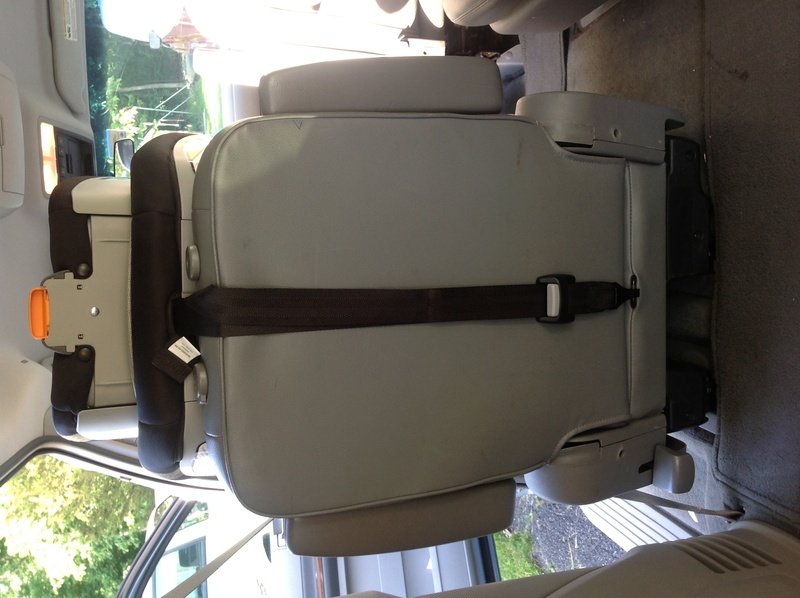 This review was written in 2013 with the pictures taken then as well when the seat was able to be installed with LATCH to a higher weight limit. As soon as we get a chance, we’ll update the FF picture. I have a 14 month-old who is measuring in the 90th percentile on height. She seems to have a long torso (like her daddy). I’m trying to decide between the Chicco NextFit and the Britax Boulevard. 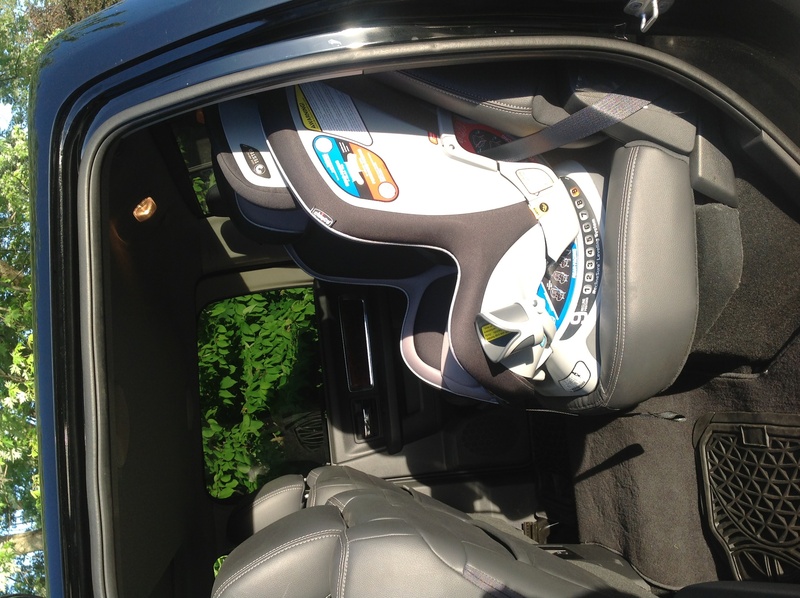 They are both great car seats, but I want to get as much use out of it as I can. In your opinion, is there a better option if my child continues her growth? Also, if you were going to choose one based on overall quality, which one would you choose? 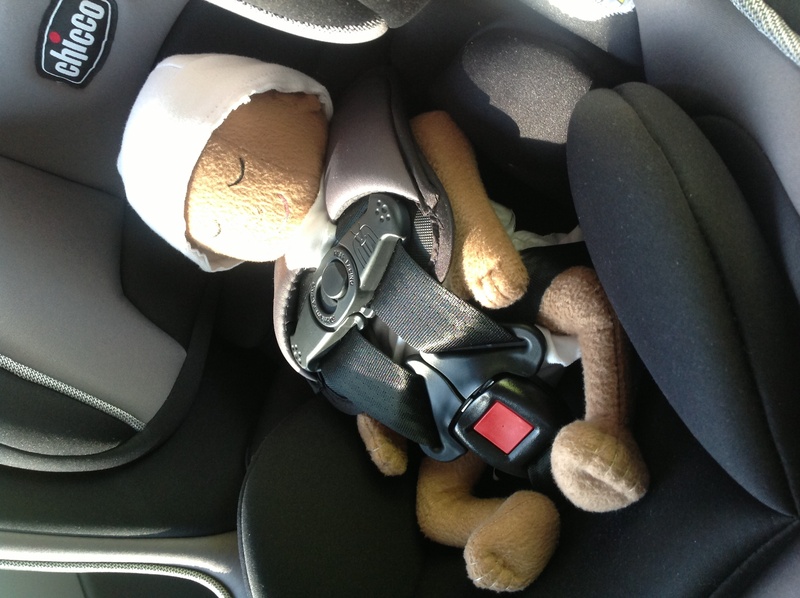 My daughter has been in her Nextfit since it first became available, I believe she was nine months old…. She is turning 5 years old in a few days and has plenty of room! We have made it rear facing all this time and will be turning her forward facing now that she is five. She is long in the torso and taller than average. I think this is a great seat for longevity. 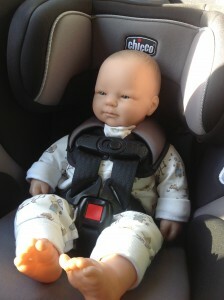 This is my last kiddo, the youngest of seven and before the Nextfit I was a die hard Britax mommy. There are many good seats on the market, but this one installs easily and does last for a very long time. We are deciding between the NextFit Zip and the PegPerego Primo. Any advice on what we should get? We want the safest option. We have a very tall little one who is 9 months old and already outgrew her infant seat. Would you please expand on the ‘more advantages’. I’m trying to decide, too. Hi Heather, I’m referring to the advantages outlined in this review. Overall, NextFit is more innovative than the Peg Viaggio convertible and has more to offer. It will last longer too. I’m highly considering this seat, but am really in love with the idea of an anti rebound bar or rear facing tether. My last seat was an old style Britax Boulevard that allowed rear facing tethering and I feel like it really helps the security of the seat. Given that this seat seemed to perform so well in crash tests, do you think I shouldn’t worry so much or am I right to cringe at giving up the option of an anti rebound bar that Britax would offer? I can’t tether it rear facing right? Definitely no tethering allowed rear-facing on the NextFit. As a previous Britax convertible owner I understand your desire for that feature (or an anti-rebound bar). The only consolation I can offer is that we still have no data to indicate that RF children are being injured during rebound. I know it looks scary but rebound is a low-energy event so if you love everything else about this seat I would encorage you to put your worries aside and go for it! Someone told me that kids tend to outgrow the NextFit faster than other seats, possibly because of the shell design. Is that true? I have a 14 month old who’s in the 40th height/weight percentile…should I be concerned? I’m struggling with how to make the final decision! Hi Lynne, that is absolutely not true and I don’t know why anyone would say that. You should not be concerned at all. If your child’s growth patterns continue to be average, you’ll get plenty of years out of a NextFit. Under the installing with LATCH section I saw that it says “NextFit does NOT allow center LATCH installations with “Non-Standard Spacing” so you can only take advantage of the easy LATCH installations with SuperCinch if you are installing in a dedicated LATCH seating position with standardized spacing (280 mm).” I just bought the NextFit Zip Air and was reading the owner’s manual and I don’t see any mention about the requirements for center LATCH installation. Is this still applicable? I have a 2016 Honda Pilot EX and it has dedicated center LATCH lower anchors and was hoping to install the seat in the center. 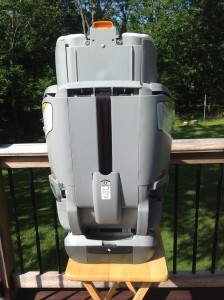 Ellie, if your Pilot has a dedicated set of center lower LATCH anchors, then you can install your NextFit using the lower LATCH connectors. The non-standard spacing applies to LATCH “borrowing” where you use a lower anchor from each outboard seating position. Thank you! 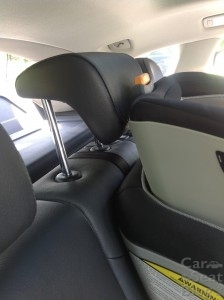 Also, when installing the nextfit, should I make sure the center seat, or any seat, (the actual car seats, not the nextfit lol) is in a full upright position or should it be slightly reclined? 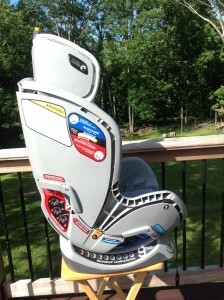 I can’t choose between this seat and the Graco 4Ever. We have a 2000 Toyota corolla, I’m not sure which seat would be a better fit. My wife and I are just about to buy a new carseat for our first born. 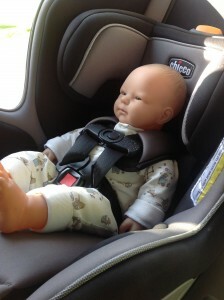 At the moment we have an infant seat we are borrowing, but are looking into a convertible seat. Our main concern is that we only have 1 vehicle and it is a Dodge Ram truck. It is an extended cab with the small rear doors that open backwards. 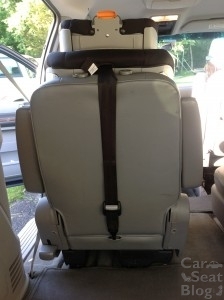 Has anyone had any luck using this seat in the back seat of an extended cab truck? We would think that we would put it in the middle so that it takes up the space between the two front seats. However, the middle seat only has a lap belt. Will that work? Hi Jared. What year is your Ram model? Is the rear center seat indented so that it is shallower than the outboard seats back there? I know the back seat is cramped and doesn’t have much leg room so you are right that putting it in the middle makes the most sense. 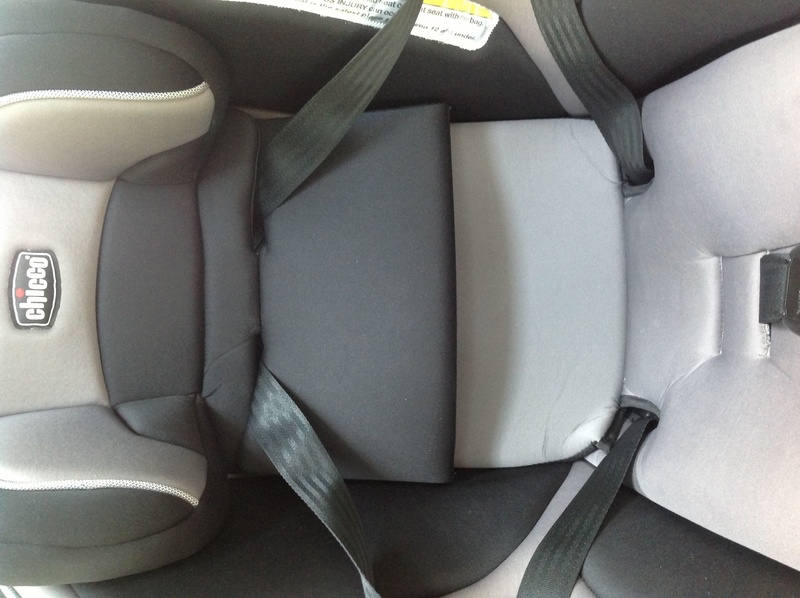 However, you need at least 80% of the base (or footprint of the carseat) to make contact with the vehicle seat cushion – meaning that no more than 20% of the base or footprint may have over the edge. 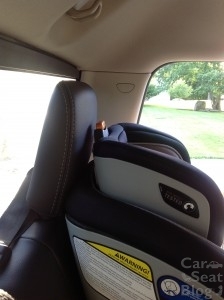 The Ram models we have owned (2005 quad cab & 2012 crew cab) both had center seats that were significantly more shallow than the outboard seats and it was nearly impossible to find infant seats or rear-facing convertibles that would fit in that center seat without more than 20% overhang. If your Ram model also has that indented center seat in back, that *and* lack of front-to-back space are your two biggest issues. Honestly, the Ram models with the smaller back seats are a nightmare for rear-facing car seats. 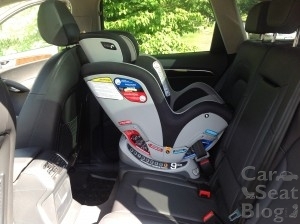 🙁 We have the crew cab model now (pictured in the review) and it’s decent for car seats. 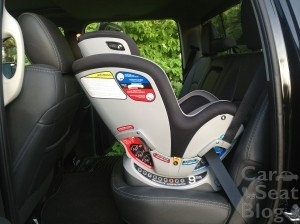 You can put an infant seat or rear-facing convertible behind the driver or front passenger as long as you don’t need the front seat moved all the way back. I’m having this problem right now. We have the Zip model and I can’t seem to tighten it. I have to get my husband out to strap our daughter in. I have a problem tightening the straps with the pull when it is in rear facing position. 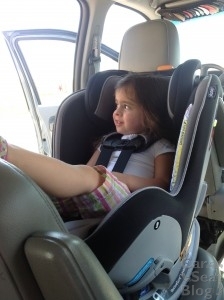 It is such a weird angle that we are fed up and want to buy a different car seat. We have a graco 4ever and I don’t have a problem with tightening these straps. Anyone else have an issue with tightening the straps in rear facing position? Why do you have to use the seatbelt to secure the seat instead of the latch system? Is that for both forward and rear facing? Just curious. 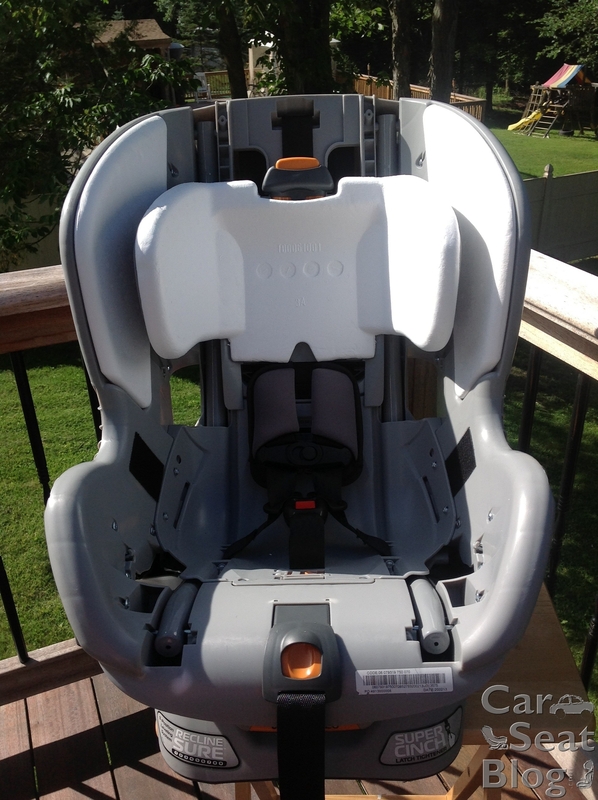 Really like this seat and would like to purchase soon as we’ve been dissatisfied with our Graco convertible seat. Any feed is appreciated! THanks! 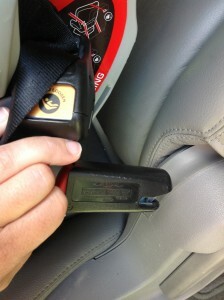 Hi Lindsay, you have to use the seatbelt to install once the LATCH weight limit is reached. The LATCH weight limits have recently been updated and are now 35 lbs. for rear-facing and 40 lbs. for forward-facing. If your child weighs between 35-40 lbs. and is rear-facing, you have to install with seatbelt. If your child is forward-facing and weighs more than 40 lbs. you install the NextFit using seatbelt plus tether. The good news is that this seat has lockoffs for both RF and FF beltpaths so proper installation with seatbelt isn’t difficult in most cases. HTH! 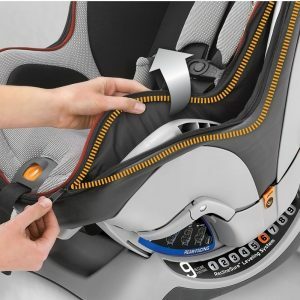 Is this true for all Chicco Nextfit car seats? We have 4 that were purchased in 2013 & our twins are approaching 35 lbs. 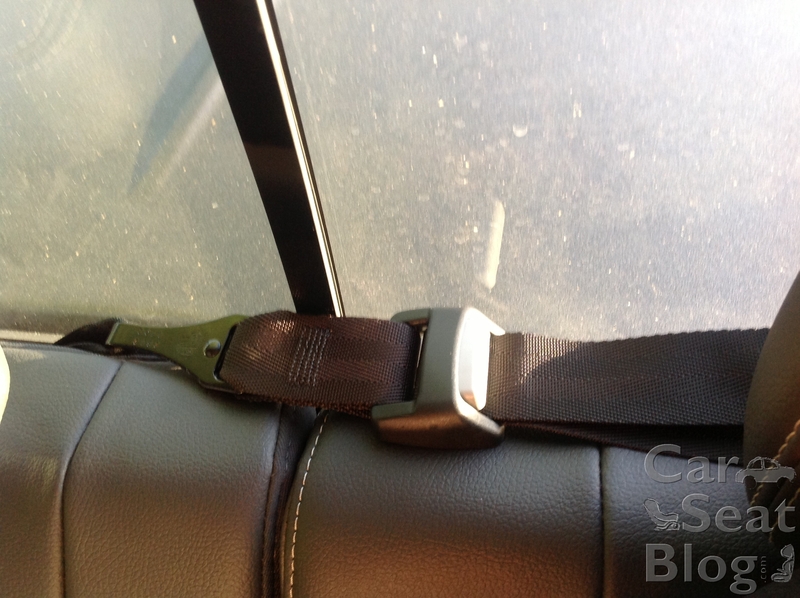 Do I need to switch to seatbelt installation? I second the comment about not being able to get gross smells out. My potty training daughter had a couple accidents in the seat and it was super hard to clean. I never felt like I was able to get it completely clean. I’ve never seen a seat with so many unreachable nooks and crannies for liquids to seep into. Other than that, I love everything about the seat. Maybe future versions will seal up some of those spots. Were you ever able to completely clean it? I’m going through this as we speak. I got all the padding off and washed, put it all back together and when I tilted it to the side to put it back in my car, pee came leaking out of it and got all over the padding again! I called Chicco and all they could say was they don’t know of a way to clean it anymore that I already have! I live in Houston and I’m pretty sure I can’t get all the pee out and it’s going to smell horrible in my car in the Houston heat this summer. I don’t know what else to do. If I spray the whole thing down with a hose will it all ever actually dry? So frustrated! 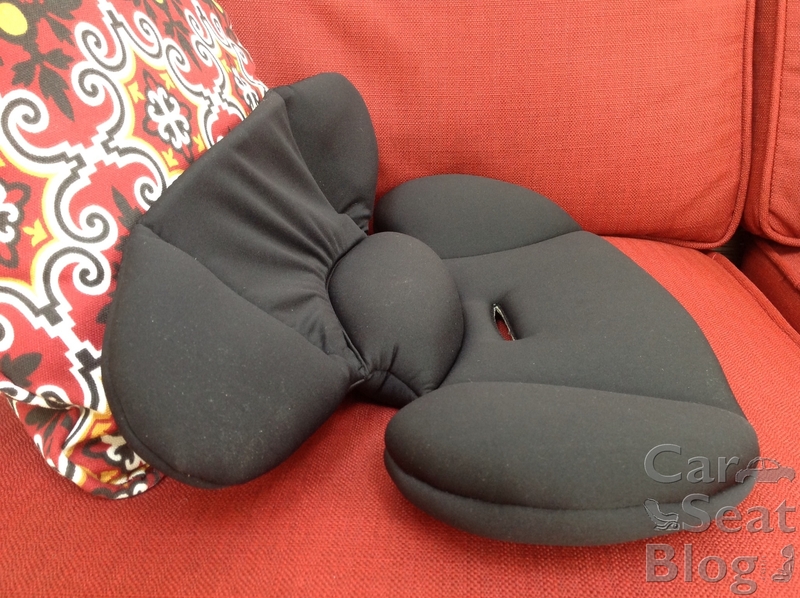 Wondering about the zip out cover version of this seat? Does anyone know if these issues were solved by that? I’m having this problem as we speak. My potty training daughter keeps having accidents when she falls asleep in the car. I constantly wash the cover, but when I pulled the seat out, pee leaked out all over. I tipped it every which way possible to try and get all the urine out, but there seems to be an empty void between the seat and the base where it collects. My car reeks of pee! Were you ever able to get rid of the smell? We’re having the same issue now – it is so gross! Did anyone ever figure out a good way to clean it? When I called Chico they told me to hose out the space between the car seat and base and let it sit tilted until it dried. They did say to make sure the straps were not saturated in water. I may have to replace the NextFit car seat with something of a cheaper value but would love to avoid it if possible! Latch #2 the strap had folded over on itself inside the orange button (with the picture of a child in the seat on it) that allows you to adjust that particular latch strap. I have tried to take apart the plastic casing and can not. Where it is sized for my parents mini van I can only use it with them and no other car; which is unfortunate due to their van not always being available. Has anyone else heard of this issue? Hello! I LOVE your website. I have been spending days reading it all to help me find that perfect convertible seat for my boy. After looking for the Nextfit, I now realise that it is actually discontinued in Canada, not to come by anytime soon (this is as per Chicco Canada) – and US car seats being illegal for use in Canada, no more Nextfits for us! I was just wondering if you have found anything that fits like it. We are moving from the US to Canada and not a lot of seats fit in our car…this one does 🙁 Thanks! I really like the Nextfit until very recently. My son got sick in his car seat to the point that I had to remove the cover and wash it. When it came to the straps I read that you can only use a mild soap and water. I used a toothbrush to help scrub the straps but unfortunately I could not get the smell out. I tried putting the car seat outside in the sun but unfortunately my dog got a hold of the car seat and it is no longer usable. The harness system can not be removed or replaced so after only having the car seat for about a year I have to now throw it away. I’ve now learned to see what parts can be replaced if they can’t be cleaned prior to purchasing another car seat. @Amy – I’m sorry to hear about the demise of your NextFit. Have you contacted Chicco customer service yet? Definitely give them a call – maybe they can help. Good luck! I have taken the NextFit straps out for cleaning with no issues. You have yo use a screwdriver and remember exactly what you did. It’s not the easiest but it’s definitely possible. 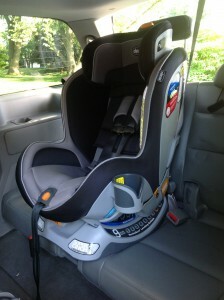 Chicco NextFit is wonderful. 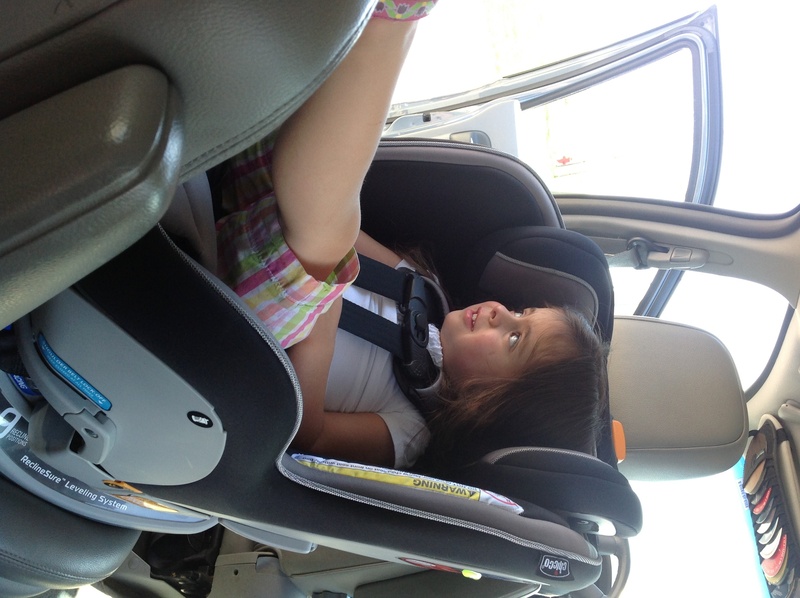 It gives a great opportunity to parents to keep children rear facing for much longer. It doesn’t take a lot of space in the back of a car. I was able to install it behind the drivers seat in compact Toyota Corolla. It is easy to insatall and easy to clean. I really love it! Hello! I was curious to find out the depth of the chicco nextfit when rear facing as well, as we own a too small (but nice) Subaru impreza (old 2005 model). ? Have u ever measured it? 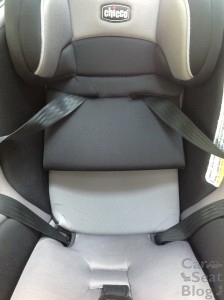 Is this car seat made with a steel frame? Hi Elizabeth, Chicco does state that the frame is steel reinforced: http://www.chiccousa.com/nextfit/faqs.aspx . 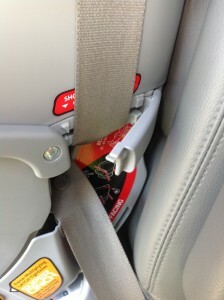 I do note that many all-plastic carseats perform just as well as those made with metal frames. 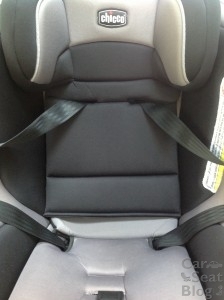 Both types of materials are very suitable for carseats. It’s the design that is most important. We really have no way to tell you which models are safest, whether metal or plastic. How? I can’t even install it in a Ford Explorer behind the driver side using the most upright recline angle of 9 and leave enough room for a 6′ tall man to drive. Barely has enough room for a 5’4″ woman to drive with it installed using at most a mid recline angle of 5 . You must be using only the most upright position and be driving with the steering wheel practically in your chest. @Brad – I agree. The Explorer doesn’t have enough room for most RF carseats – especially if you’re 6′ tall. Unfortunately, it’s the vehicle in this case causing the issue. Did you have an infant seat in that position previously that fit? If so, which one? I love Chicco! 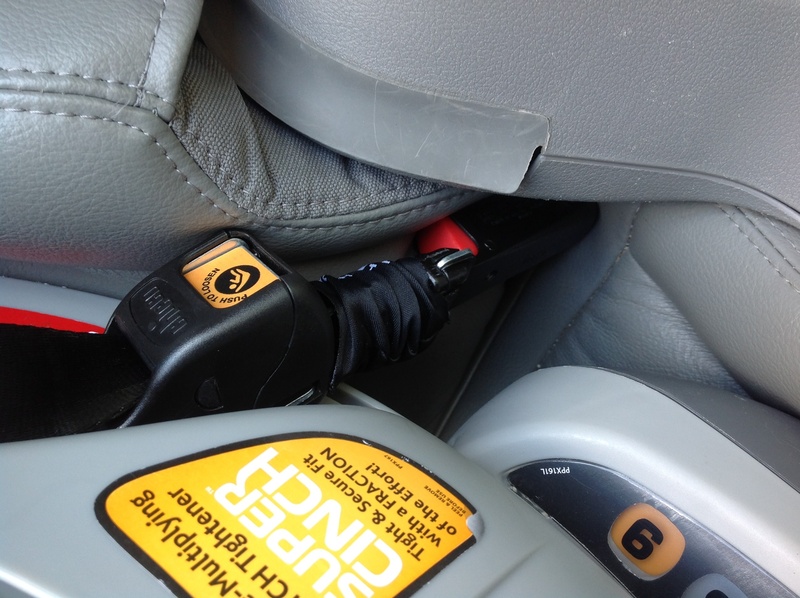 We have the Chicco key fit and would love to install a Nextfit into my car. I love the safety features and extended rear facing options.